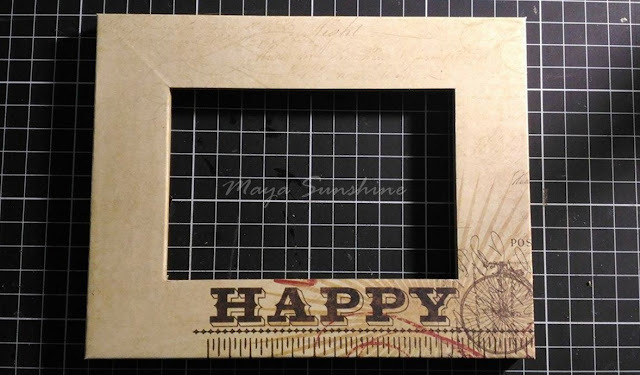 First, the wooden frame below was the original look when it was first purchased. 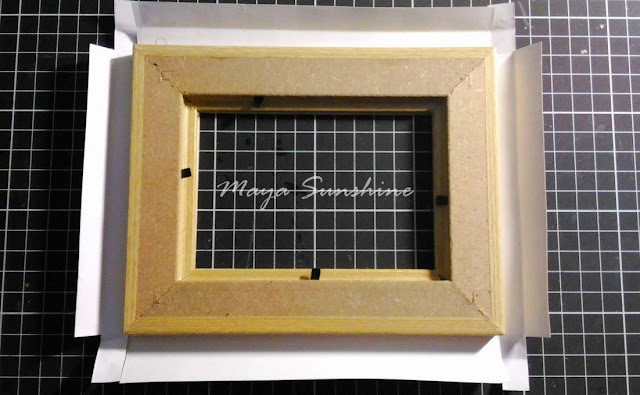 It's a size of 3*5 photo frame. 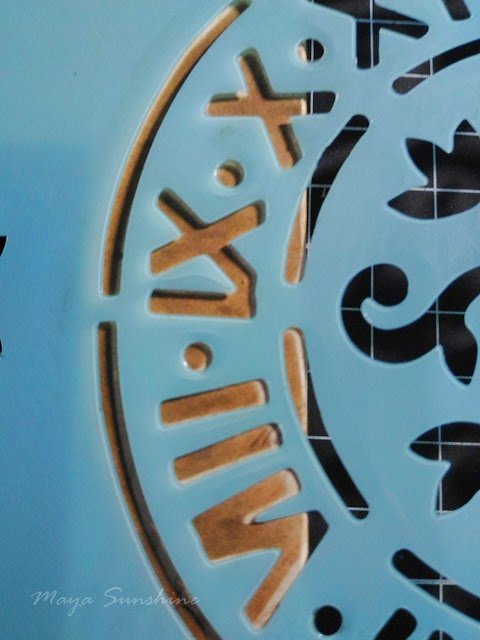 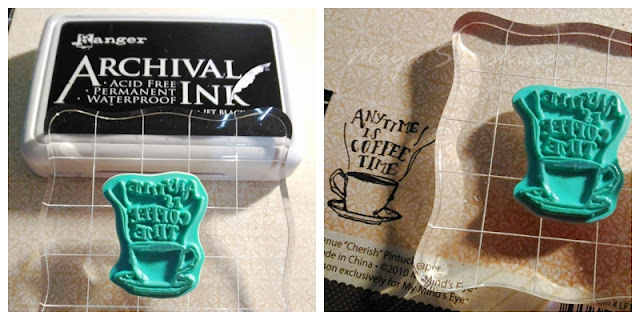 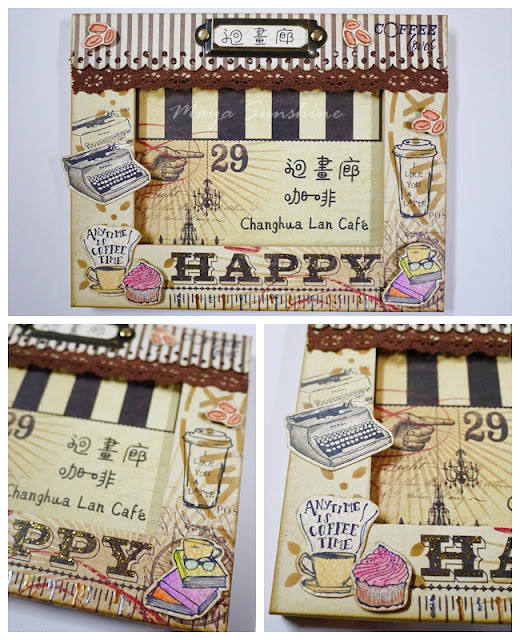 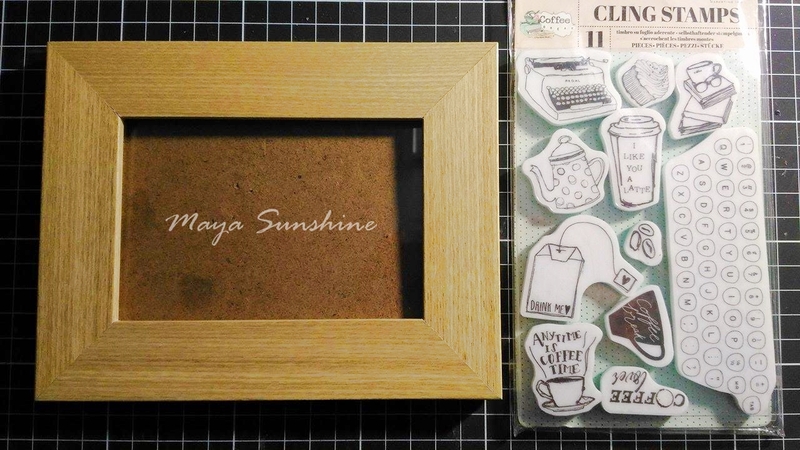 The Coffee Break cling stamp set from Prima was used as the main embellishment for this project. Choose a 12*12 paper for the background. 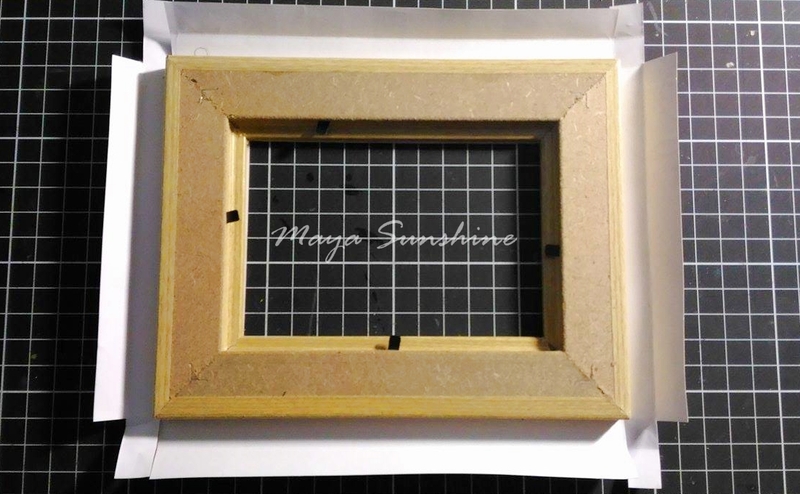 Measure the frame size and leave one inch extra in order to wrap up the frame. 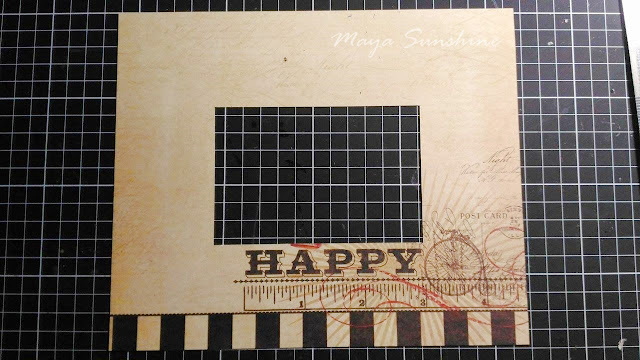 Cut out the paper after you are done measuring and hollow out the central section for the photo. 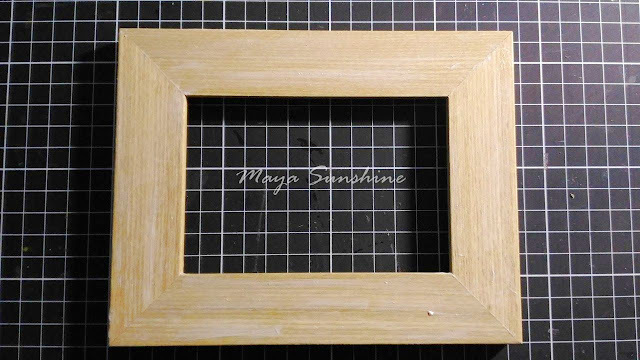 Apply adhesive glue on the frame and then brush it around evenly. Paste the paper on front of the frame and then wrap it up. 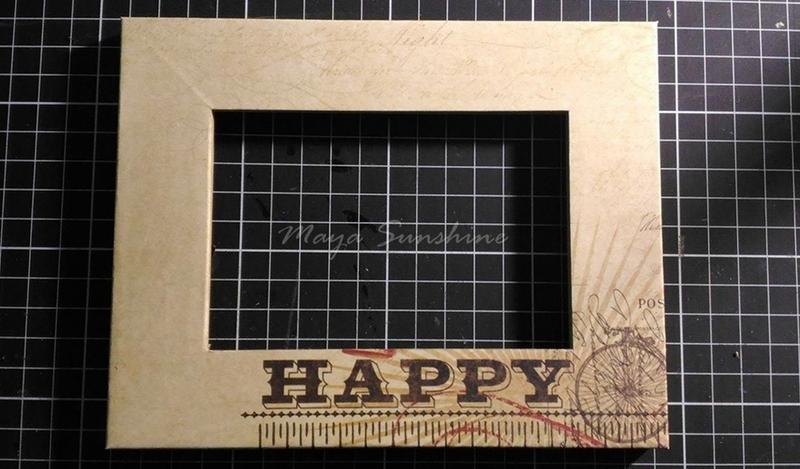 The front looks like this after the frame is covered. 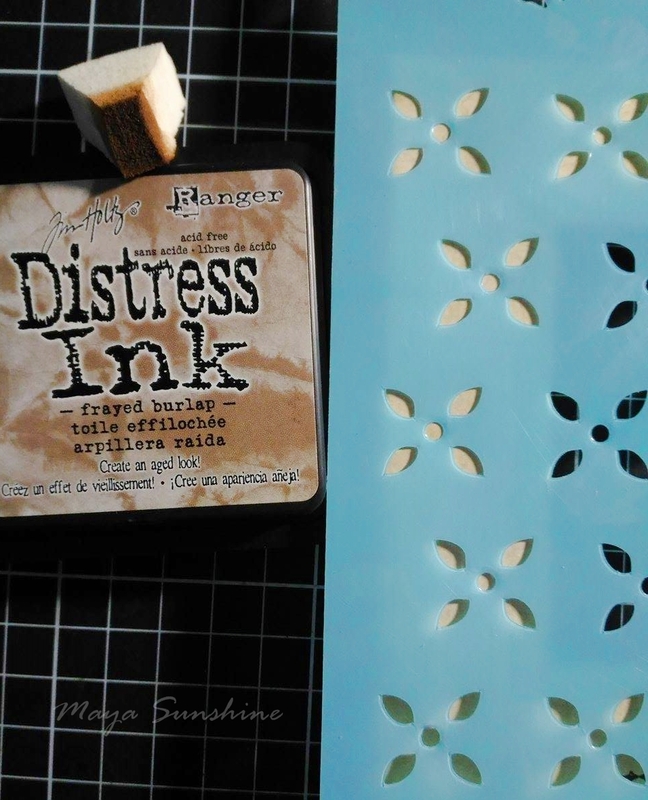 Then, blend some color on the patterns by using Kaisercraft stencils with Distress Ink. 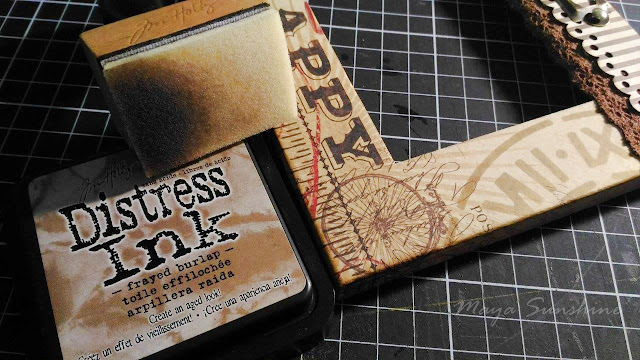 Next, blend the ink with one of the Kaisercraft stencil patterns on the opposite side. This is how it turns out. It's quite easy to create a background look with Distress Ink and stencil patterns. 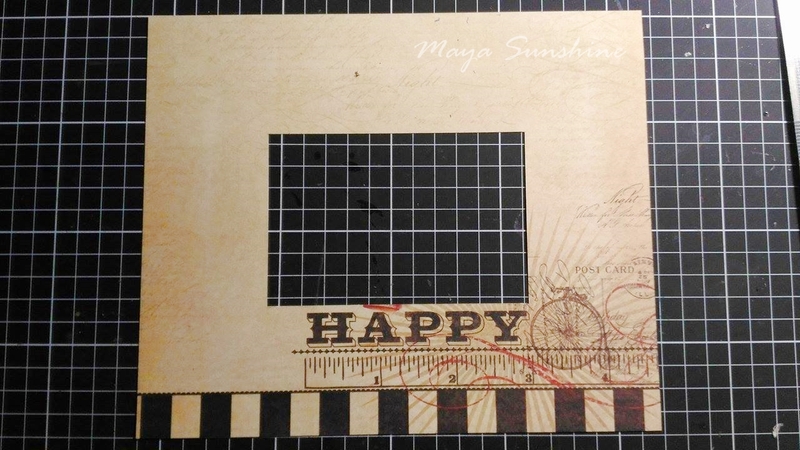 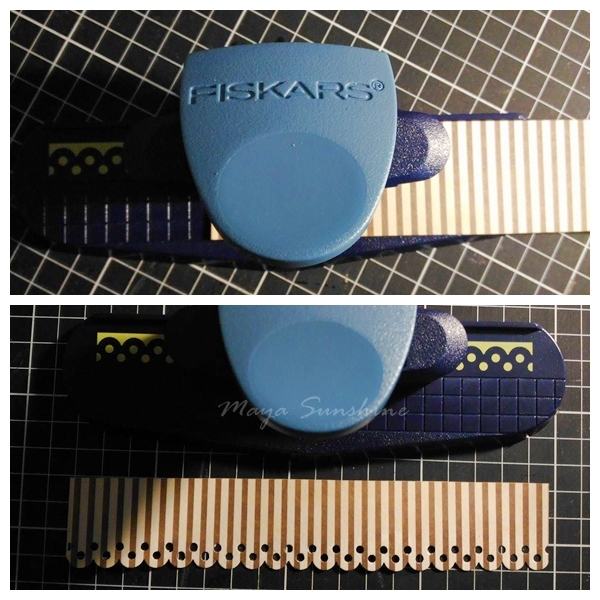 Following, use Fiskars border punch to create perfect repeating borders. Combine the repeating border paper with brown color lace to create a curtain look. 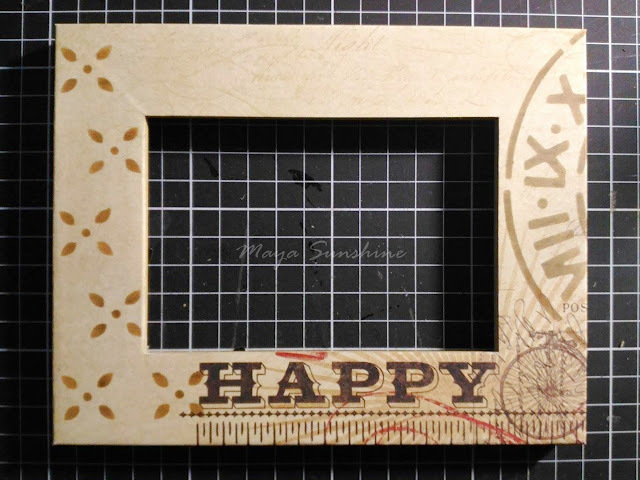 Blend the sides of the frame with Distress Ink. 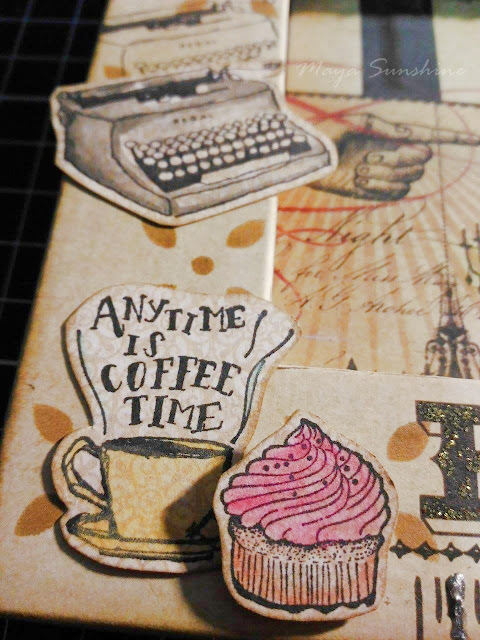 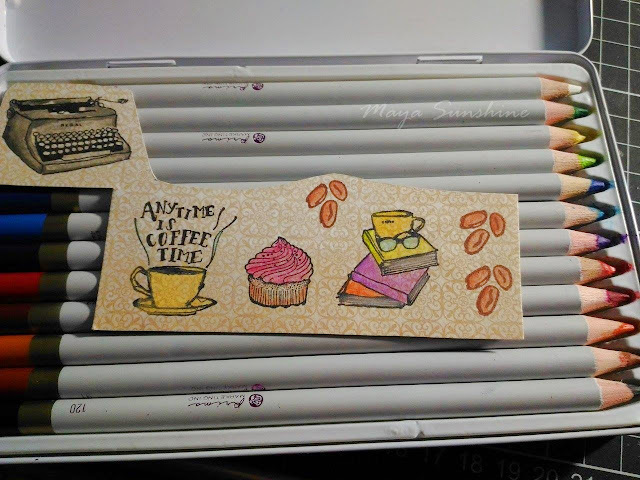 Stamp the type writer and coffee cup patterns to the background. Also, write down the name of the cafe' on a small piece of paper and place it in the metal label holder. 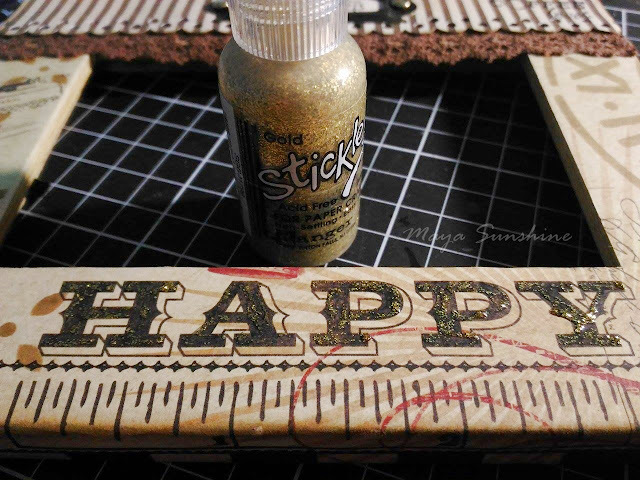 Apply the gold Stickles on the HAPPY word to give a shiny look. 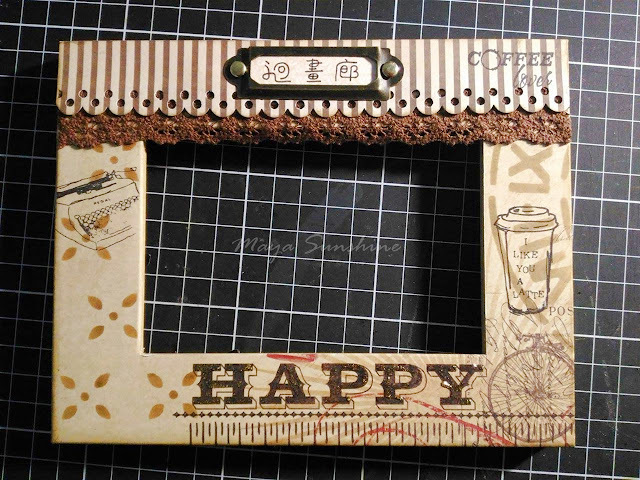 Then, stamp a few patterns from the Coffee Break stamp set by using Jet Black Archival Ink as the embellishments on the frame. 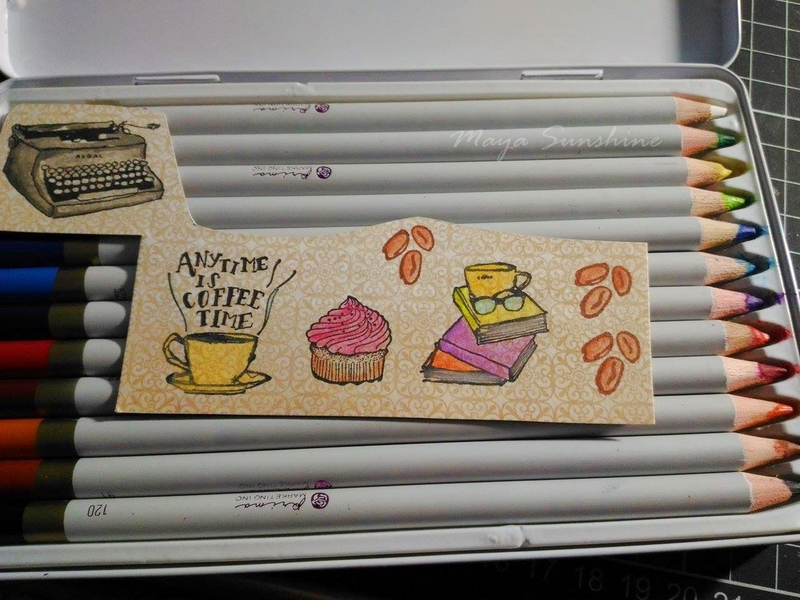 Color them with Prima watercolor pencils and blend the color with a water brush. 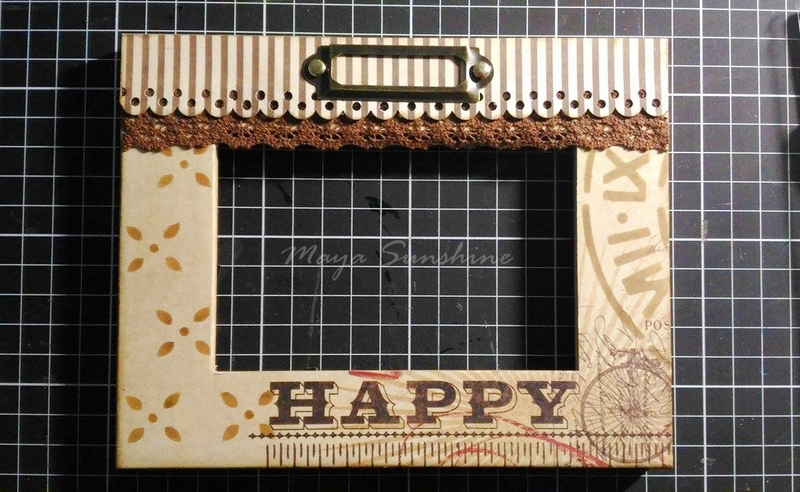 Cut out the patterns and glue them onto background as an ornamentation. 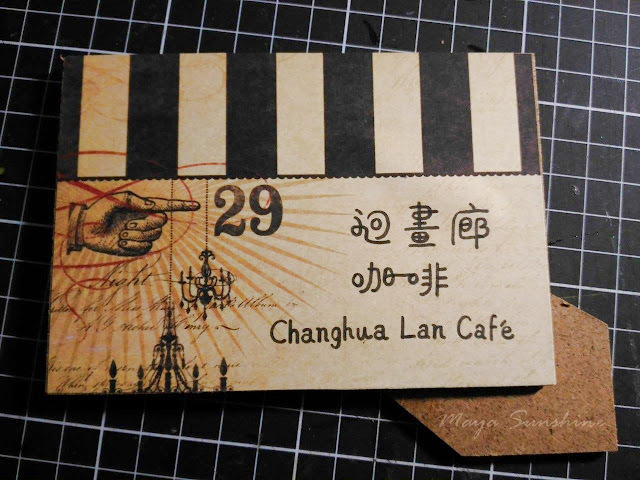 Including, these are the main elements in the cafe'. 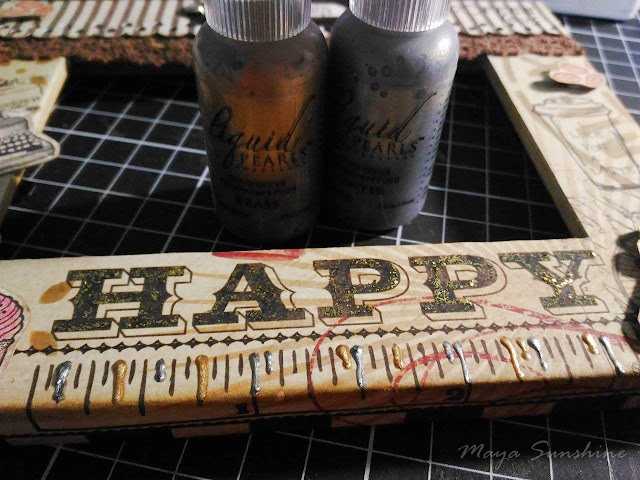 Liquid Pearls are easy to use for brightening up some details. Cut out a piece of paper for the background and the inner frame; hand write the name of the cafe' (the exact same way from their name card). You may use a 3*5 photo replacing the name card (as seen above). 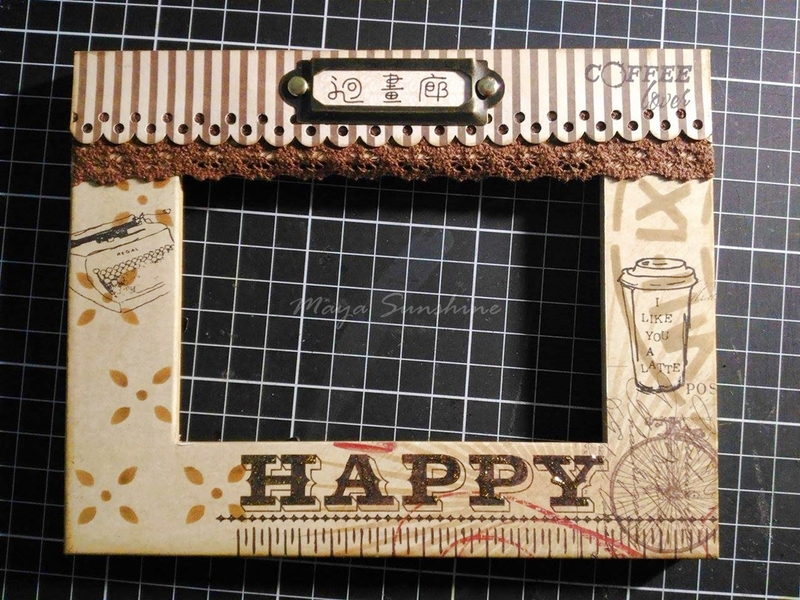 Hope this frame will keep the wonderful moments and memories in your cafe'. 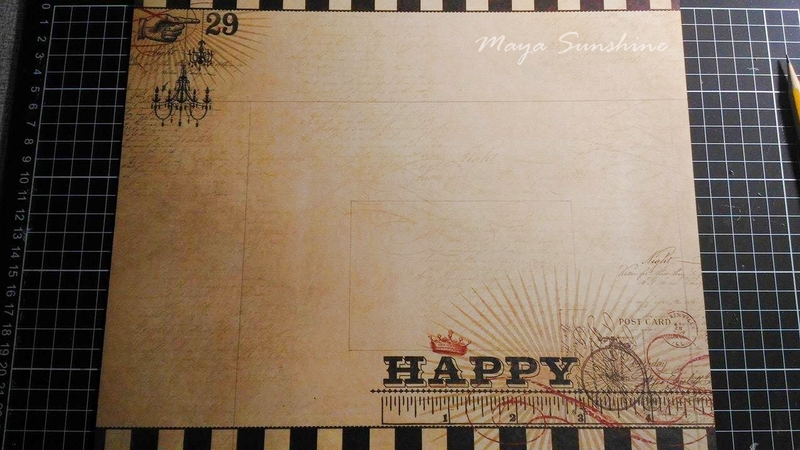 Now let's check the final project and detailed pictures. Thanks for stopping by and hope you like this step by step instruction.